Deviled Egg Costume - C.R.A.F.T. This is seriously one of the easiest costumes to make in the history of ever. 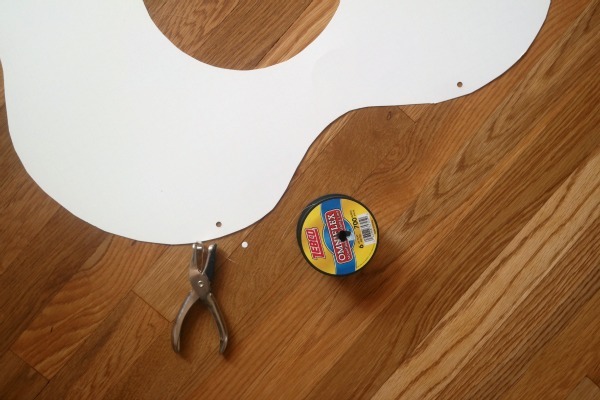 Lay your piece of poster board on the ground and use a pencil to trace the dinner plate in the center of the board. Use scissors to cut out the circle in the middle. 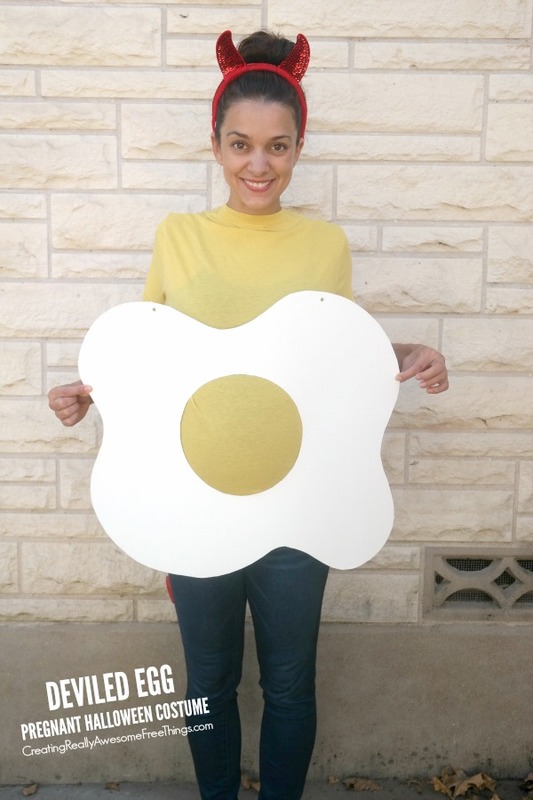 Turn the poster board over and use a pencil to make a wavy, egg like circle around your yolky center. Then cut around the outside. Next, punch 2 holes in the top of your egg and string and tie fishing line through both holes. Hold the egg up to your belly and tie the fishing line in triple knots so that the yolk fits in the egg correctly (and comfortably)! Oh and triple knots are necessary if you are using fishing line, otherwise the knots will fall out. Place your horns on your head and attach your tail to your jeans, and voila, deviled egg! 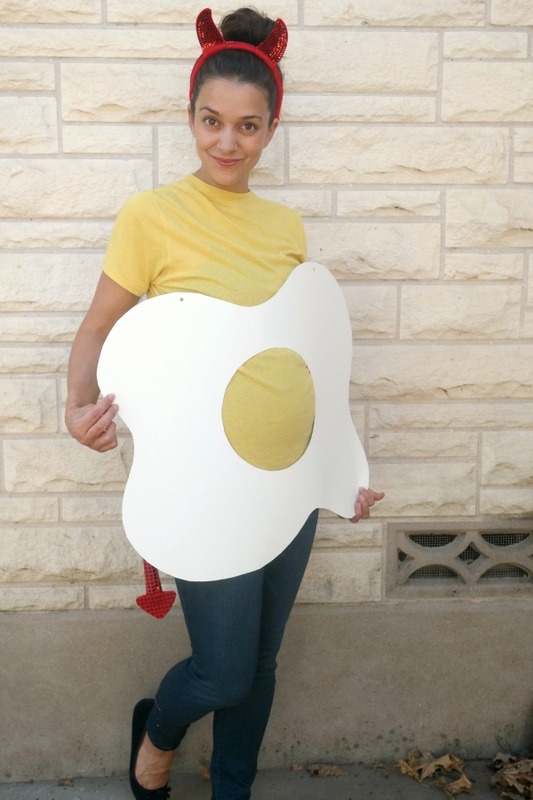 If you are looking for more costume ideas, here are 29 more awesome pregnant costume ideas! I’d love to hear more fun maternity halloween costumes! Congratulations, you are one of my features this week on Snickerdoodle Sunday! Very Punny! Thanks for sharing on the #HomeMattersParty this week. I hope you join us next week. What a cute preggo costume! When I was pregnant a few years ago I just forgot about dressing up and put on a Halloween t-shirt. Thanks for joining the Family Joy Link Party! How funny!! 🙂 Thanks for sharing with us at Throwback Thursday!